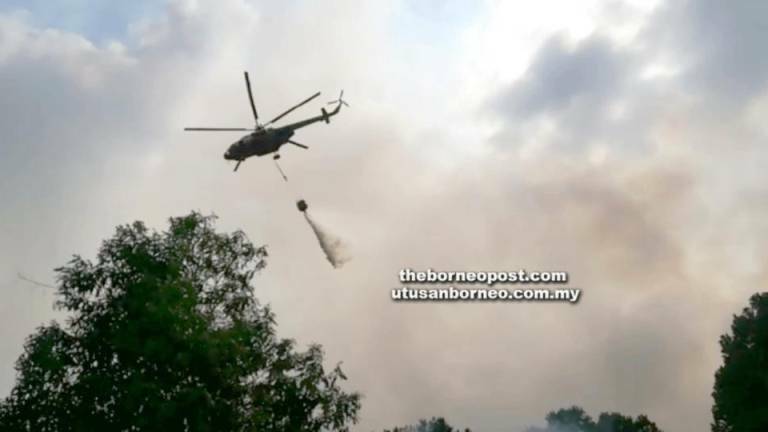 17 Apr 2019 / 11:48 H.
A screenshot of water bombing operations to douse the raging fire at Kuala Baram. MIRI: The Fire and Rescue Department (Bomba) started water-bombing here yesterday to contain the stubborn peat fire affecting over 100 ha of land in Kuala Baram. Water bombing is an aerial fire-fighting strategy that involves releasing large quantities of water from a helicopter or plane to combat wildfires. 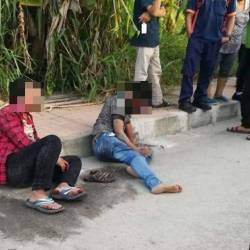 Zone 6 Bomba chief, Superintendent Law Poh Kiong, said a total of 20 sorties of water bombing were carried out during the operation which started at 2.30pm and ended at 4.30pm. A total of 66 Bomba personnel were involved in the aerial and ground operations. “Bomba personnel on the ground were forced to come out of the plantation at 2pm to avoid being trapped in the raging fire. 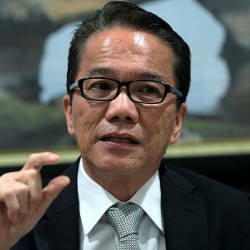 “With the wind blowing strongly, coupled with the dry undergrowth in the peat swamp areas, the fire spread quickly to new areas,” said Law yesterday. 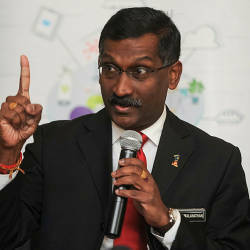 He said they will do total flooding to douse the fire in the worst affected area and at the plantation area today, which had been burning since Monday (April 15). Meanwhile, Miri has recorded bad air quality. As at 8am yesterday, the API reading was at an unhealthy level of 103.